If trash is your problem, we have your solution! 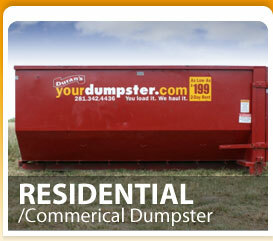 YourDumpster.com provides dumpster rental in Rosenberg, Richmond, Sugar Land, Houston, and surrounding areas. 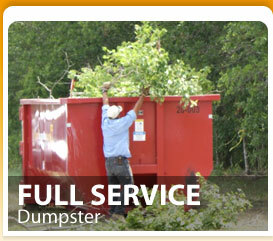 We also offer trash removal from your residence or business. 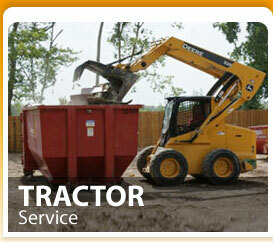 If you have landscaping trash, mover's debris or just need a dumpster to get rid of household trash, then call today. Tired or is your project too big to do alone? YourDumpster.com offers a full service dumpster which includes the dumpster and the man power to fill it. Our men will show up to your location on a specified date and clean up the mess for you!! YourDumpster.com also offers a tractor service to tackle your big cleanup jobs. We will arrive at your location with our tractor and dumpsters and load the debris into our containers and haul it away for you. This service offers you the ease of saying just get it done. Where will the dumpster be delivered? Home | About Us | Services | Price Quote | Testimonials | Contact Us Copyright © 2009 Duran's YourDumpster.com.All rights reserved.